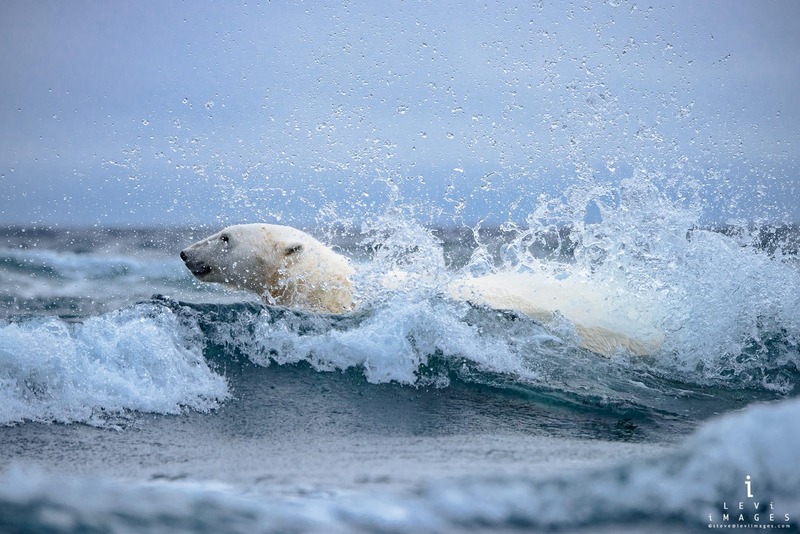 A polar bear walks in the crashing surf between the two small islands that comprise Karl XII oya, or island, the northern-most islands of Svalbard (and Norway). Once completely separate, the islands are now connected by a sand bar that has been created by wave action over a long period of time. The circumstances that came together to make this image possible were rather unique. Typically, at this time of year, the islands are surrounded by ice and therefore inaccessible. Due to the lack of ice this year, the islands were ice-free. Additionally, there was a low tide affording the polar bear an opportunity to walk, not swim, between the two islands.